MY WINTER ESSENTIALS, FOR WHEN IT'S TOO COLD TO LEAVE THE HOUSE. I'm currently writing this post with my Rudi The Robbin under one arm and balancing a hot chocolate on my chest because I have no bedside table, damn student living. As most of you know, I come from a country where the average temperate is 18'C and so I don't know how to function when it comes to England. 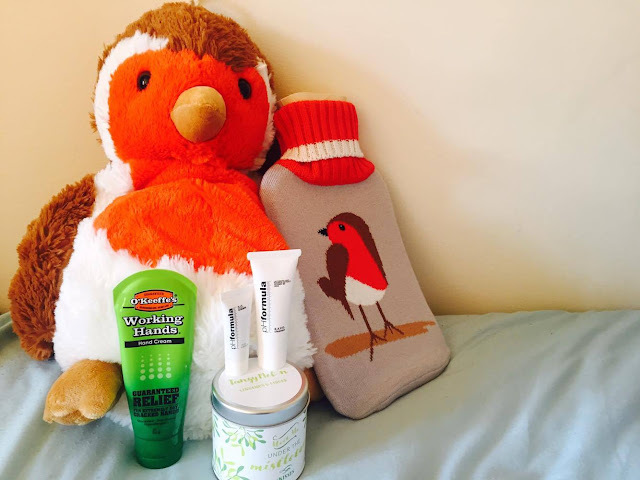 Luckily, I've teamed up with a few brands to make getting through hibernation easier for me. I hadn't used a hot water bottle in around 2 years, and boy I forgot how handy they can be and not just for when you're battling period cramps. The Hot Water Bottle Shop have a great selection of water bottles and I couldn't resist picking out this duo because who doesn't love snuggles from a soft toy? Clearly I do because my double bed is taken up by Flounder, Marie and Lady. I even occasionally use both hot water bottles at the same time. The quality is great and the Kuddli Friends are perfect for a cold winter night or to gift it to one of your younger family members. I know this has nothing to do with keeping warm and they are essentially just there to make your room smell nice and keep you relaxed, but the idea that there's fire burning in my room makes me feel like the temperature is increasing slightly. Another reason why I hate leaving the house in England is chilblains. If you don't know what they are, they're basically sore bumps you get on your fingers from the cold and leave your fingers feeling chapped and dry (and itchy when they get warm). These went away when I got back to Gibraltar but sadly they're on the verge of returning again despite wearing my cute mittens. 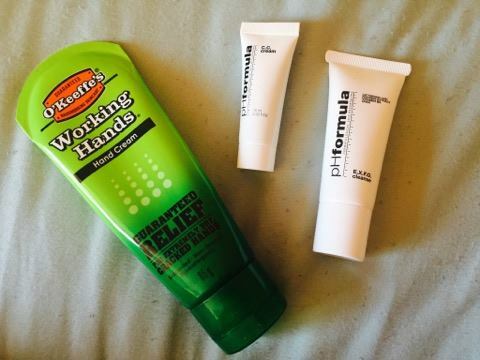 O'Keefe's Working Hands Cream has worked wonders for keeping my hands moisturised and I think it's definitely a winter essential product. Due to its high concentration of glycerine it absorbs water instead of repelling it and guarantees relief for dry and chapped hands, or your money back. 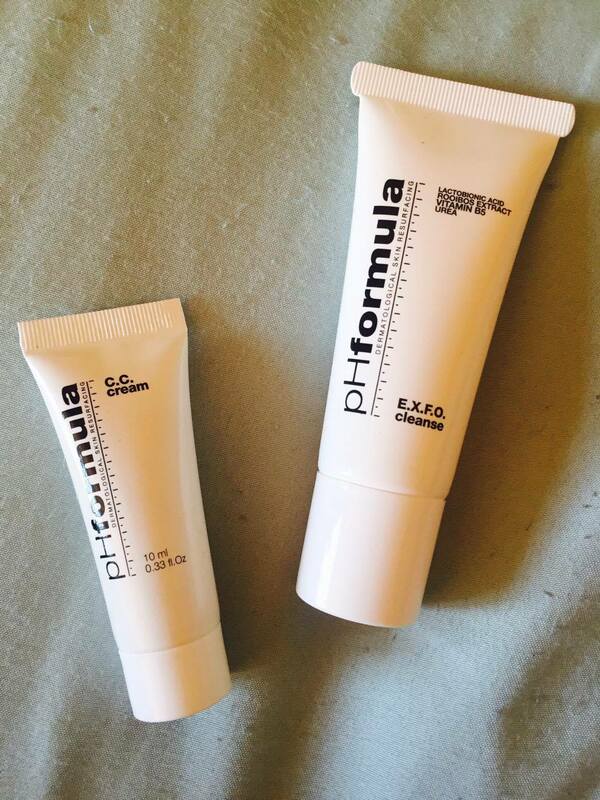 If you'd like to get your hands on a tube the product is available in Boots, Amazon etc! AspireSkin kindly sent me a few samples from their range to try out for this post. Their S.O.S Rescue Cream is perfect for dry/sensitive skin and acts as a barrier against cold harsh weather. This is especially useful for the dozen people I know who go skiing every winter! When I don't wear foundation I make sure to use this and works on the lips too. Their E.X.F.O cleanser is great for removing make-up and impurities. They also offer a range of C.C creams with a sun block of 30+ when you fancy a little bit of coverage. These products also come in travel-size so they're perfect for hand luggage or carrying around with you in your handbag. Finally, what's a night in with a little bit of entertainment? If you're like me and your house feels like it was made by Elsa, then you probably won't want to leave your bed. I'm currently making my way through A Series of Unfortunate Events on Netflix, if you're looking for something new to binge watch have a look at my recent blog post here. What are some of your winter essentials for when you don't want to leave the house? Hope you're all having a wonderful Wednesday! Will definitely be trying out the O'Keefes hand cream. My poor hands need some TLC from all the cold and other creams i've used don't seem to do the job!